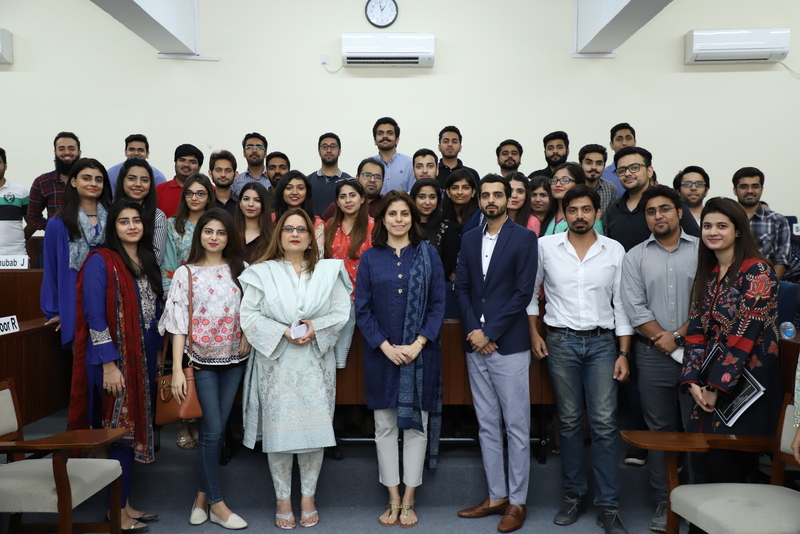 Ms. Maryam Wazirzada, Partner and Founder-Iris Communications visited the Lahore School of Economics to give a lecture to the MBA II students who are enrolled in the course of “Marketing Research” on October 23, 2018. 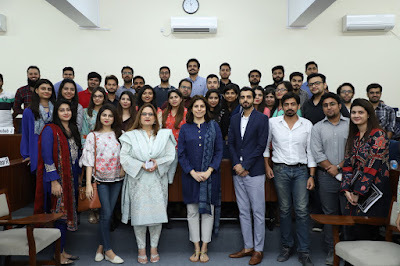 Ms. Wazirzada talked about the basic principles and new techniques of research. She also discussed the process of analyzing data and the problems faced by researchers. The speaker gave insights on quantitative and qualitative research in detail. She briefed the students on data mining, data analytical skills and retail audit which helped organizations to determine consumption pattern.